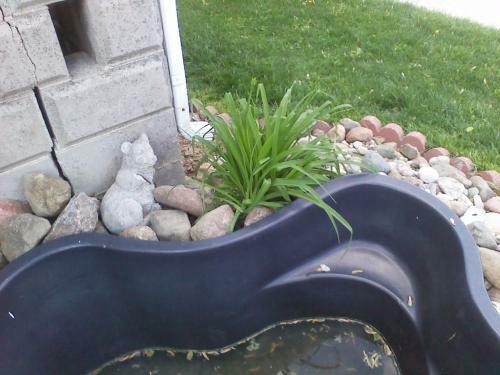 I am working on getting a water garden started. This is the way it lookes before I get it going. I need to get it cleaned out and ready to go. Hopefully it stops raining so I can get it emptied and then cleaned out. I really am not sure what to do with this because I have never done one before. I am excited although because I am actually allowed to do something to make my yard look nice. I will also have the oppurtunity to work out in my gardens to help take my mind off of school stress. 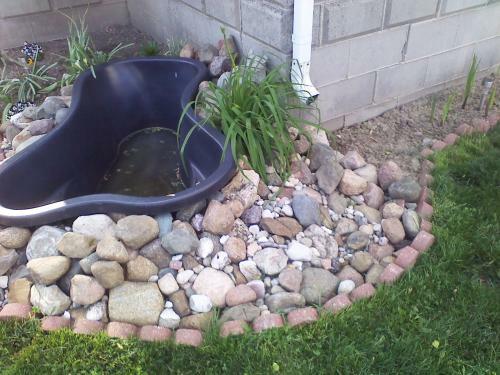 You're making a good start with your pond. I hope you'll show us more pictures as the work progresses.